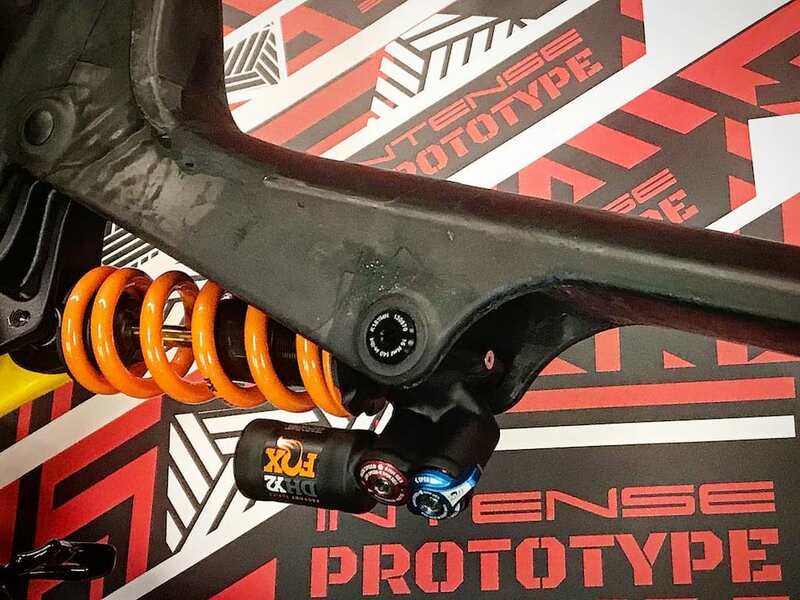 A few years ago we wouldn’t have dreamt that Intense would build an eBike, but they have and judging by the fact that Intense’s head honcho, Jeff Steber managed to leak every stage of development on to his personal Instagram shows just how excited the brand is about it. 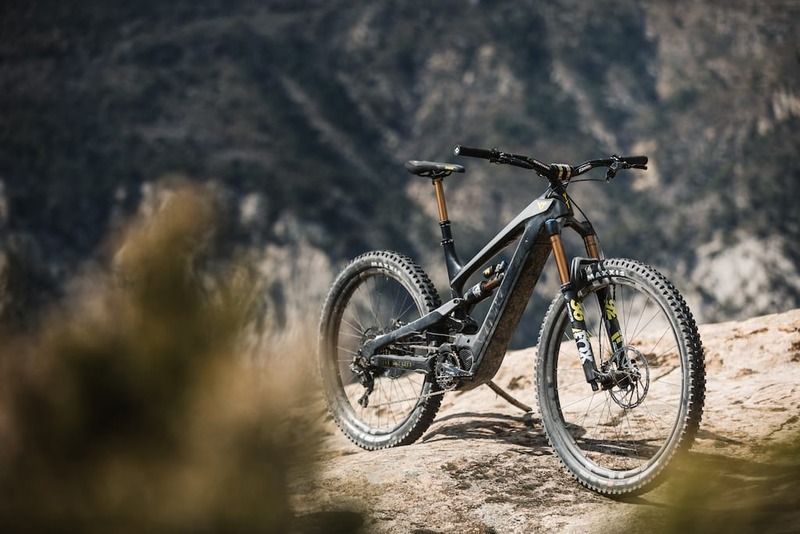 The new Intense Tazer borrows its name from one of Intense’s 4X bikes from yesteryear, but this brand-new Shimano STEPS equipped eMTB is nothing like’s its alloy brother. 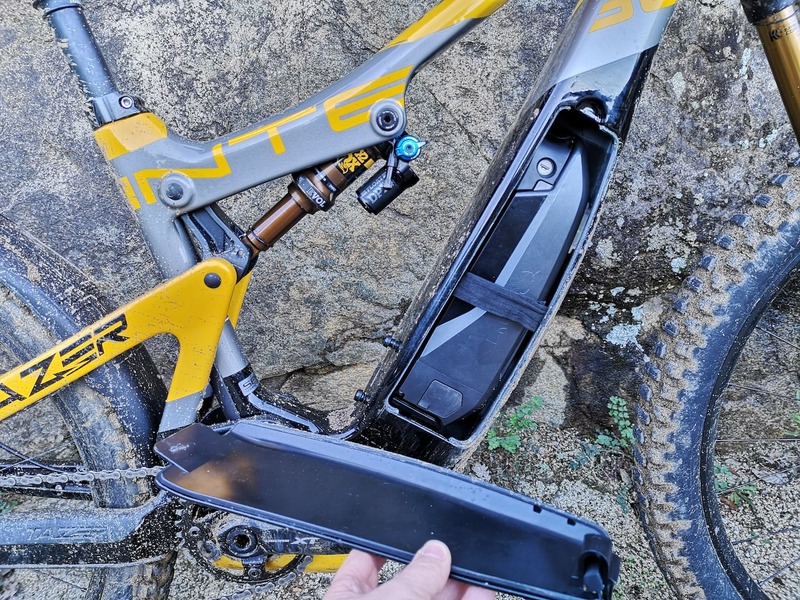 While prototypes and test mules were handed welded and tested by Jeff Steber, the production version of the Tazer is a full carbon bike, and while the rear end may look similar to the Tracer, every part of the Tazer had been designed specifically for this eMTB. In the U.S Intense is aiming the Tazer at Moto Cross riders, and in fact, many prominent MX magazines have already reviewed the bike. The general idea behind the Tazer is that it’s a big travel, go anywhere eMTB that riders can use to explore the great outdoors. Ride further than they have ever before, and to places that they never thought possible. What’s behind door number 1? This is why the downtube on the latest Intense features a plastic door, giving easy access to the Shimano STEPS eBike battery. Intense hopes that riders of the Tazer will take a second battery in their backpack and so won’t be limited by the range on a single charge. It’s a great concept, and after using the panel for myself it’s very neat and easy to use, but how many riders are really willing to spend roughly £500 on an extra battery? With the battery hidden in the downtube the Tazer does look more modern than some bikes with the battery located externally, and although photos do make the bike look a little, well, “pregnant”, the actual bike is rather pretty in the flesh. Intense have also ensured that the battery is as low down as possible to keep the centre of gravity low, combine this with the weight of the STEPS motor and you have a stable and well-balanced bike. A quick look at the geometry of the Tazer brings up a few surprises. First of all, a size L has a reach of 475mm. That’s pretty long, that’s as long as a Transition, and it’s not at all what we’re used to seeing from Intense. The Tazer is quite long compared to other Intense models. For my time riding the Tazer in the Spanish sun, I opted for M which has a reach of 450mm. Not as long as my current bike but I find the extra weight of an eBike does sometimes mean a shorter bike is a little easier to handle, and after listening to other testers I’m pretty happy with my size choice. 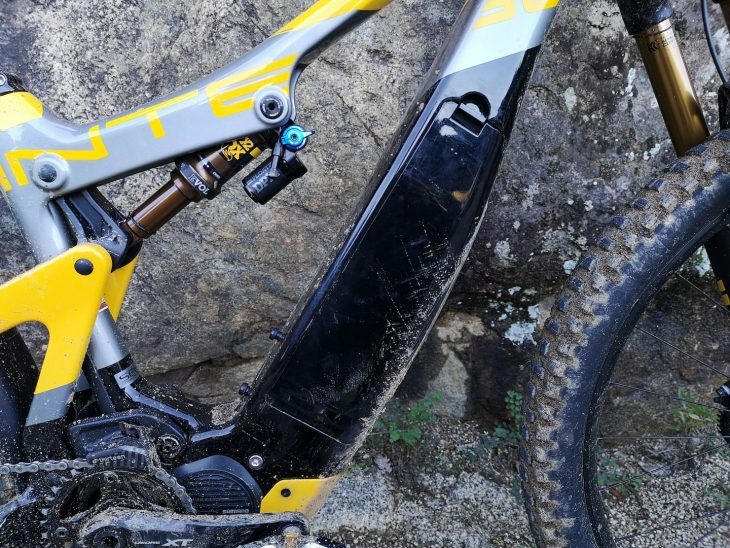 The rear shock hides beneath the top tube out of harm way. At 64.9° the head angle mimics the slack nature of similar 160mm travel bikes and gives you the confidence to really push the front 29er wheel into loose corners and tackle blind drops without concern. Outback the Tazer offers 155mm of rear wheel travel, and because the bike uses a compact Shimano motor system, the chainstay length isn’t horrendously long like some eBikes. Intense has maintained a 450mm chainstay length across S, M and L bikes, which gives enough clearance for the Plus sized 27.5in rear wheel, but not enough for a 29er. The Shimano STEPS E8000 motor and battery are located way down in the frame. 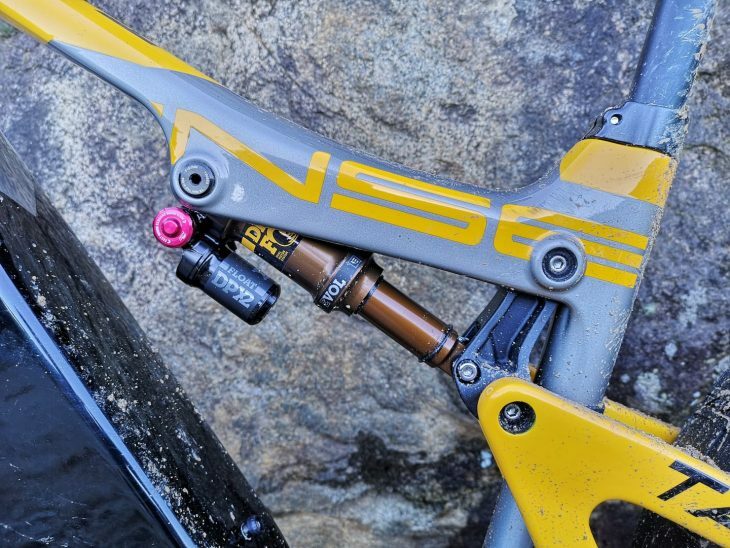 While the motor assist is going to help you up even toughest climbs it makes sense that Intense has given its first eMTB an efficient seat tube angle of 75.4°, and to ensure maximum climb and dependability a Fox Transfer dropper with fancy Kashima coating comes as standard. One issue we had with the dropper post was the lever. 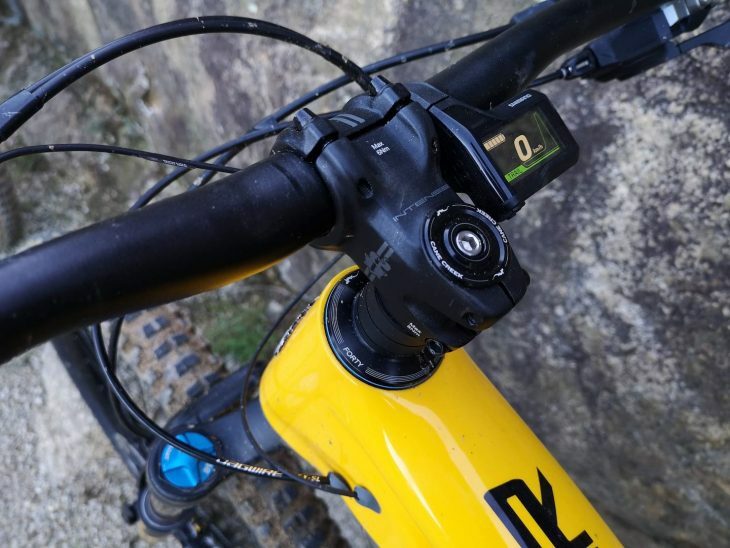 Because Intense has opted to spec a trigger style shifter for the STEPS system an underbar dropper remote won’t fit so instead we have a rather ugly overbar remote. It worked fine, it just looks a bit of a mess. Ebike specific Fox 36 fork. 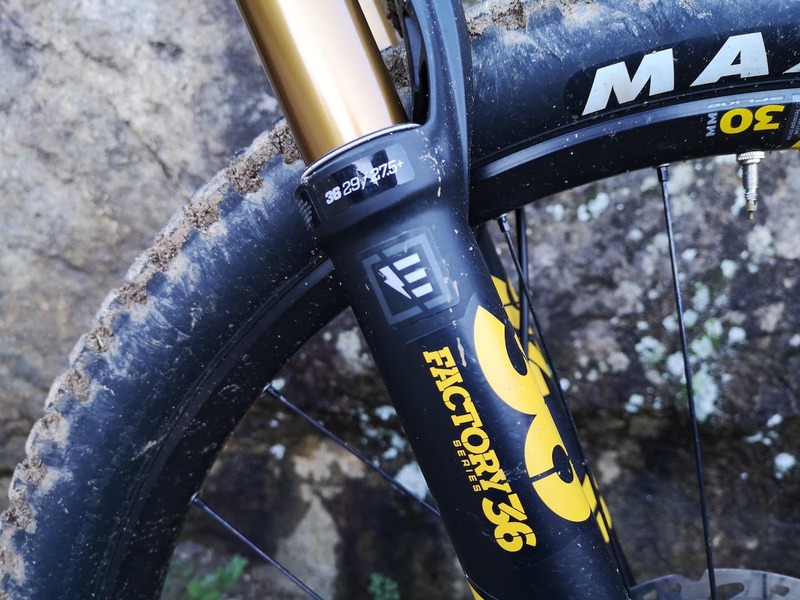 Fox also provides the Factory DPS X2 Kashima rear shock and Fox Factory Grip 2 fork with the same slippery Kashima finish. 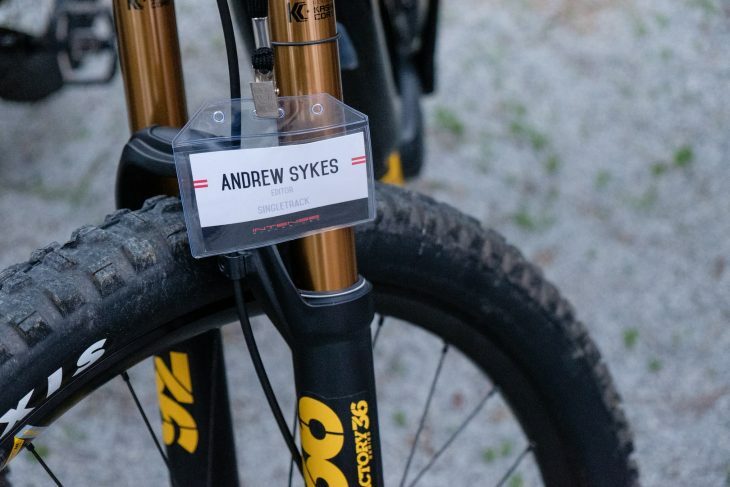 The fork is actually an eMTB specific model which uses thicker walled stanchions to a standard 36. Intense own brand bar and stem at this price? With a fancy carbon frame, and top end suspension components from Fox you may be expecting a flagship groupset and some swanky finishing kit, but don’t be too disappointed. The Shimano groupset is a 10-speed SLX set-up, which works really well and is cheap to replace as and when needed, and the Intense branded bar and stem served me well on a trip to the mountains around Barcelona, but at £6,899 I suspect some buyers would prefer fancier kit. SLX works well and is cheap to replace. 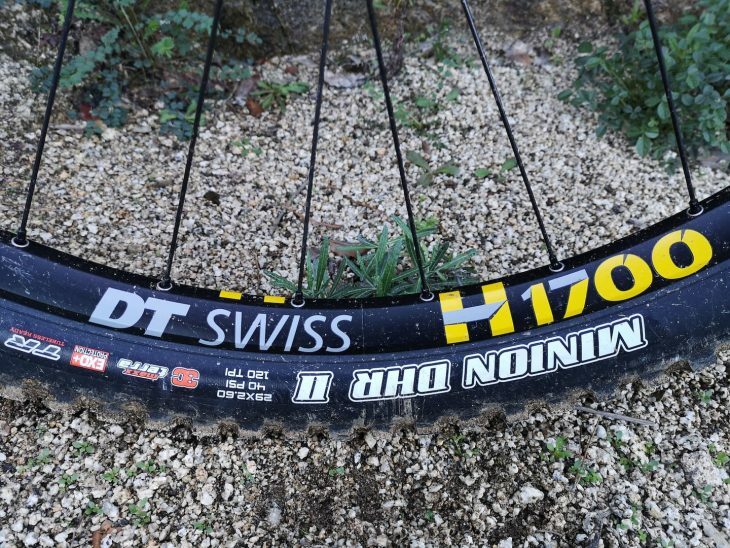 With that said though the brakes are the extremely powerful Shimano XT 4 Pots we tested earlier in the year, and wheels are super tough DT Swiss H1700 models with a 35mm rim front and 30mm wide rim on the rear, just what we like to see on a 21kg bike. 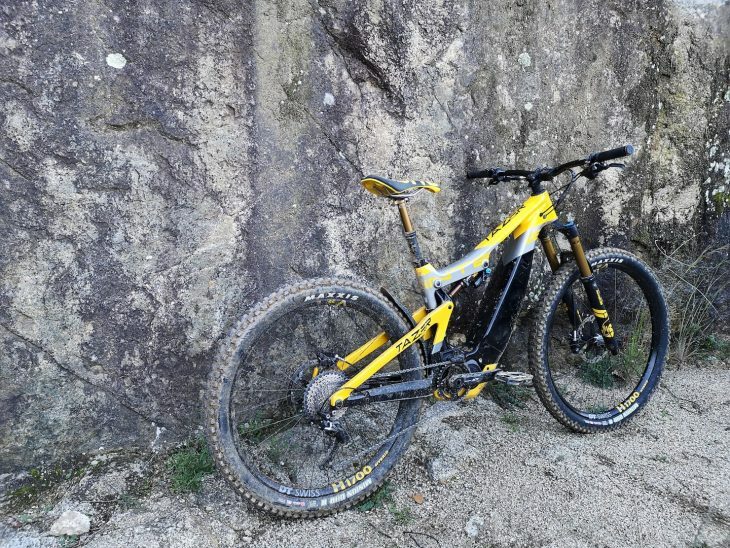 With up-to-date geometry, proven suspension and good quality components we expected the Tazer to ride well, and it does. I think my choice of a medium sized bike really allowed me to enjoy the Tazer a little better than my fellow testers, which allowed me to get a little more out of the bike and really get a feel for it. Initial set-up of the bike and suspension went well, although we did notice that the rear shock really needs quite a bit of pressure to get it sagging correctly, and in a carpark test the bike feels a little too linear, however, that’s not where this bike is designed to ride is it? 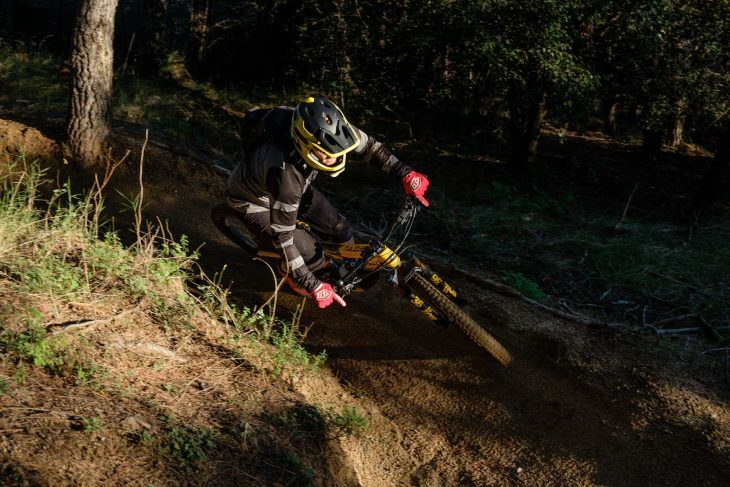 The added weight and dialled geometry offer plenty of confidence in the corners. For our day of riding, and please remember this isn’t a full Intense Tazer review, we would be riding on loose sandy/dirt trails around Barcelona. 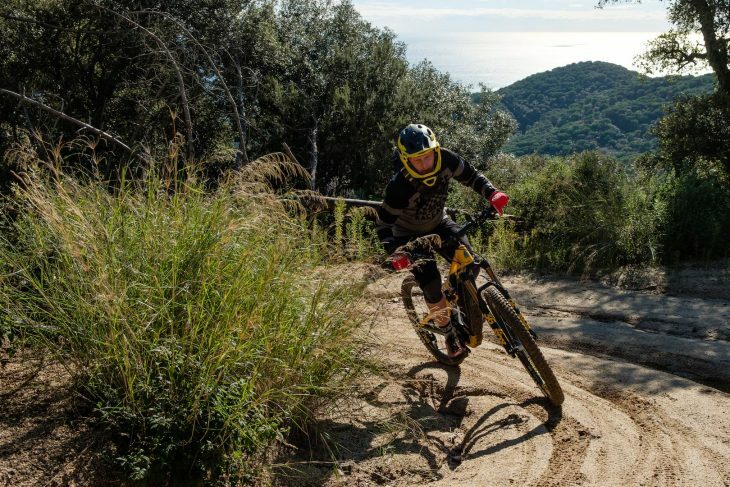 These trails feature fun, but not steep, descents, the odd jump and berm, and a lot of wicked steep climbs that would catch us all by surprise at one time or another. On the trail, the Tazer actually proved to be quite playful, and easy to throw around. 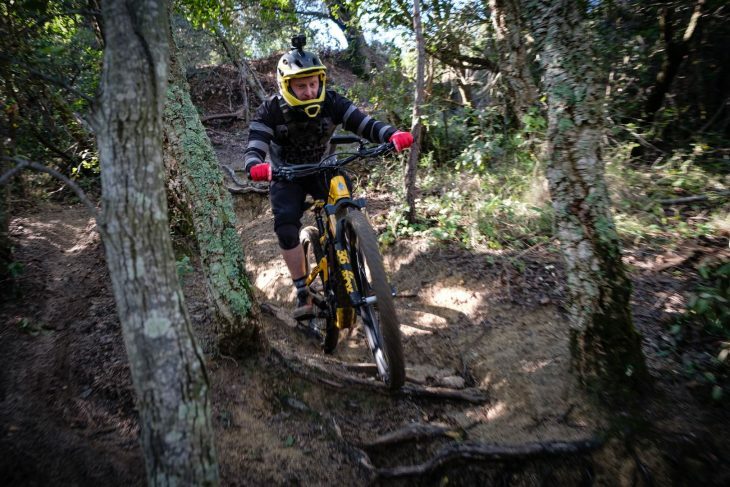 Yes, it’s a heavy bike, but the Shimano STEPS motor helps with acceleration out of corners and up sudden steep climbs, while the dialled geometry and added weight really lets you dig the bike into corners and rail around berms. The Tazer goes the opposite way around corners too, promise. Despite the heft, the Tazer was happy to hop around, and take to the air. 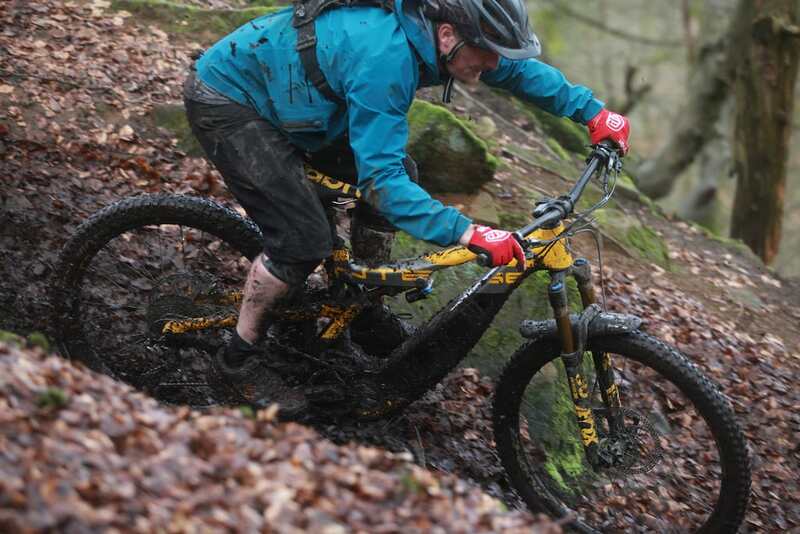 If anything that added weight improved the ride and gave me the confidence to let the tyres and suspension dig into the loose surface and do their thing. Intense’s choice to go for a mismatched wheelset mirrors what we’re seeing on other eMTBs and on those bikes we’ve enjoyed the 29ers ability to roll over rocks and roots, and the added traction of a wider rear wheel. 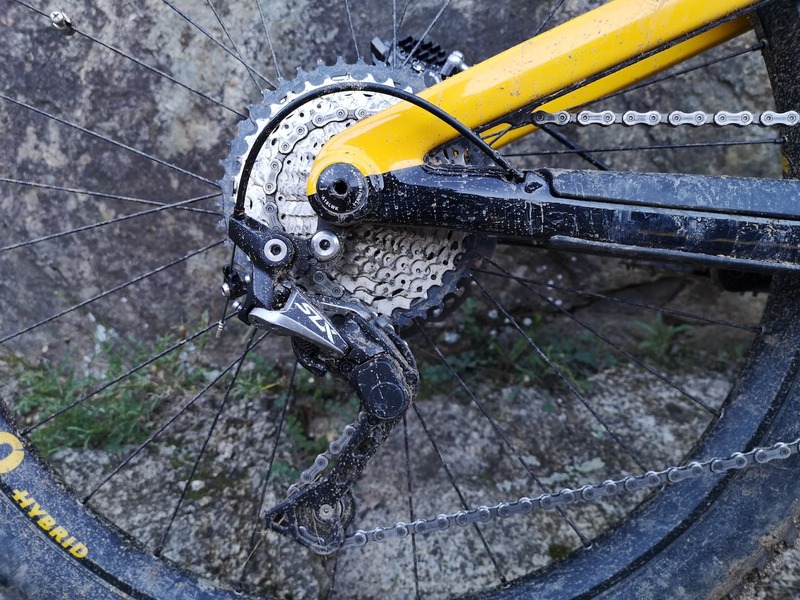 I certainly noticed the added traction on the Intense, especially on the loose sandy steep climbs that appeared from nowhere, but as the trails weren’t particularly rocky I didn’t really feel the benefit of the larger front wheel. I’m sure it’s there, and once we get a long-term test bike to tackle local rocky terrain I’ll be able to comment on the benefits though. GoPro Hero 7 being tested at the same time! That’s multitasking! Honest. The trails we rode could be ridden as a loop but required a fire road/tarmac climb to the top. The climb alone would have taken up a huge part of the day on a standard bike, but in Boost the Intense made it a joy and gave us all time to discuss how much fun we were having on the actual trails. Just the steep and sudden, loose, climbs in the trail would have made it a big, slow ride if we were on standard bikes. 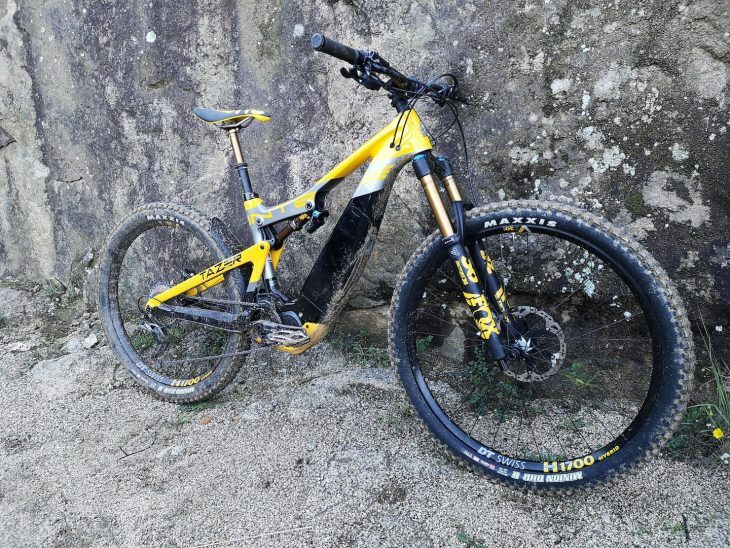 Great for an XC rider perhaps, but on an eMTB we were able to enjoy every aspect of the trail at speed, not to mention we were able to loop the trail multiple times in only an hour, we reckon a fit rider could have done it once on a non-eBike max. Well as a first eMTB I think Intense has done a pretty good job. I like the design of the bike (honestly it looks better in the flesh) and I like the door on the downtube to access the battery. I’m not sure how many people will buy a spare, but it’s a neat solution anyway. 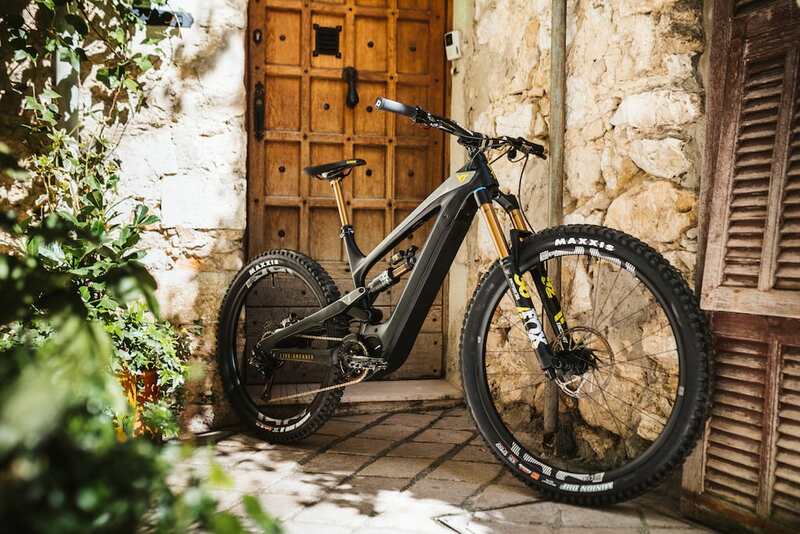 The updated geometry is spot on and might hint at what we can expect from Intense in the future, but I would certainly recommend riding one before choosing your size you might be better on a medium even if your current non-eBike is large. The specification is good too, high-quality suspension, a great drive system and powerful brakes. 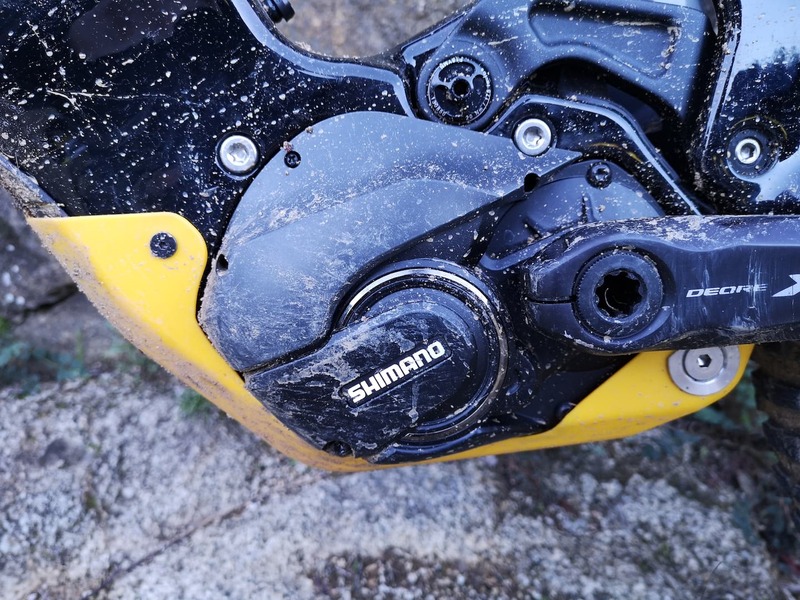 Intense says Shimano SLX has been chosen to ensure that repairs and replacement are more affordable in the long run, and personally, I run SLX on my personal bike so love it, however at almost £7K I’d expect something a little higher end. Looks better in the flesh I promise. The same can be said about the Intense branded bar and stem, again they work but really? own brand kit at this price? As a first impression though I can see the Intense Tazer finding plenty of homes. 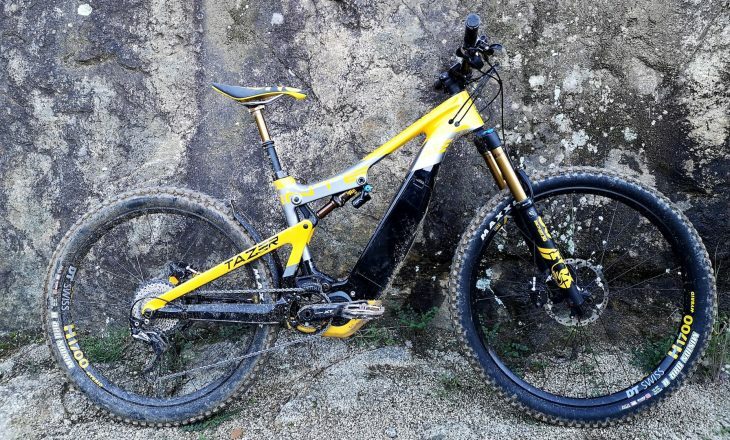 Those riders who have the money and value the Intense brand aren’t going to be disappointed, in fact, they’re going to absolutely love the Tazer, but is it really better than an eBike that costs significantly less? Well, we’ll have to wait for our long-termer to arrive before we can comment.